In 1960, a boat carrying 7 year old Roger Woodward and two other people capsized above Niagara Falls. His young sister was pulled to shore before she reached the edge. The adult who had been piloting the boat went over the falls and was killed. Roger plummeted over the side before he could be reached, but miraculously survived. I have no idea how this is possible, but it happened again in 2003 when a man threw himself into the river and emerged on the other side with only minor injuries. The 600,000 gallons of water that tumble over the edge every second has proved sufficient to pulverize the solid rock at the bottom; you’d think it would make short work of flesh and bone. 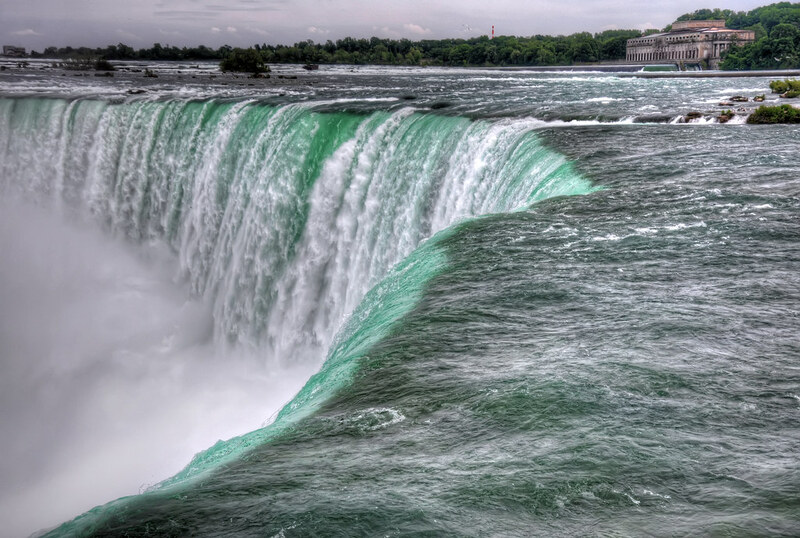 The sheer relentless power of the falls is incredible to behold, and watching it is both mesmerizing and terrifying.